This sign is a vibrant yellow and red. The round sign measures 42″ in diameter and has a lot or red line word to define areas of the sign. 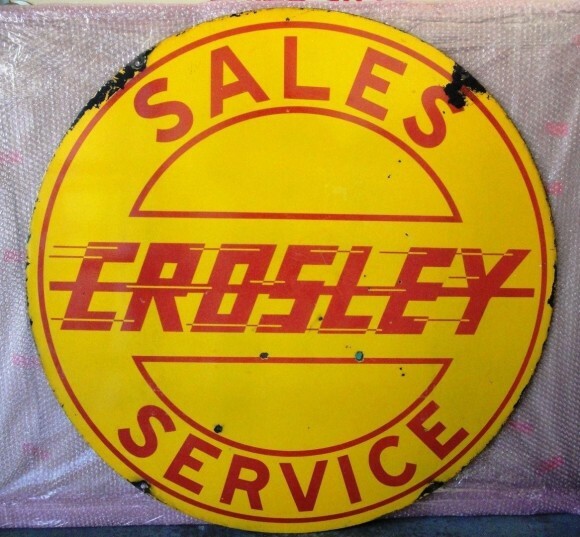 In the center of the sign is the word “Crosley” with a line running through it. Above and below that word are the two words “Sales Service” in red type. This particular sign has two holes that may have been used for mounting in the center. However, it is typical for those holes to be on the outer edge of the sign.